THANK YOU. We have reached our Fighting Fund target of £30K – 12 days sooner than expected! We can now use that fighting fund to set up a Community Benefit Society, the vehicle we believe gives the best chance of securing community ownership of the RVT. The money you have donated so far will be put to amazing use as we move to the next phase of the campaign: raising the funds to actually buy the Tavern as a community. This fighting fund will allow us to create the best Community Benefit Society for our needs, and to be more effective in sourcing major donors and investors. Specialist consultancy from a Community Shares Standard Mark accredited practitioner. Legal fees: registering a Community Benefit Society, drafting the CBS constitution and related documents, legal support for the share offer. Communications: advertising the share offer, communicating with donors and shareholders, holding public meetings, printing and promotional materials. Website and technology: website hosting, design and development, share offer online platform, donations platform. We want to make the RVT Community Benefit Society a model of best practice, as well as ensuring that we seek value for money in everything we do with the funds you have donated, or will invest. We will run the organisation transparently and accountably and will publish financial statements back to you, the community, on a quarterly basis. Further donations are gratefully received, but if you wish to donate more than £250 please contact us directly at hello@rvt.community as we will look to ensure (with your permission) that those donations are structured as an investment securing you share(s) in the organisation. As we’ve already stated, should our plan not succeed any unspent funds will be given to LGBTQ+ charities after consultation with the community. This sounds like great news! http://www.morningadvertiser.co.uk/Legal/Property-law/Faucet-Inn-shelves-plan-to-buy-iconic-gay-pub. It shows that when we as a community come together to oppose a hostile operator, it can work! Buckle up girls and guys and those clever enough to have transcended gender – the UK’s biggest community fundraiser is ON and we couldn’t have done it without your support. Help shape your community-owned RVT – take our survey here. 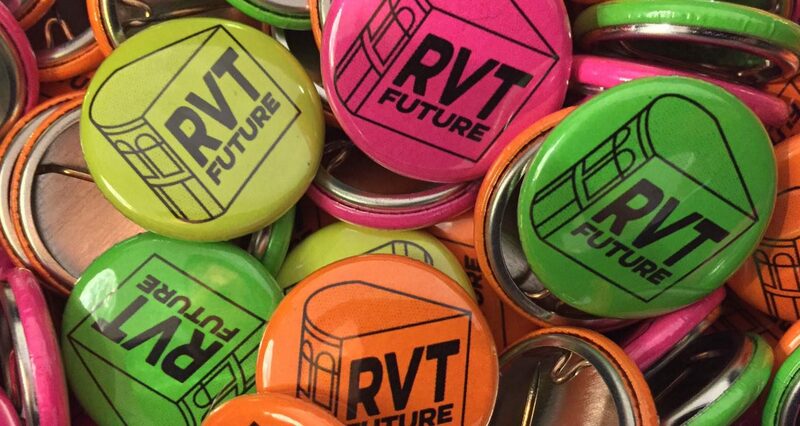 To keep up-to-date with what we’re up to please sign up to our newsletter at http://www.rvt.community/contact/, and follow us on Twitter @RVTFuture and Facebook.com/RVTFuture.